It’s lurking around the corner: summer. You can’t run, and you can’t hide, so the only thing left to do is get busy getting fit. If you’re like most of us, you woke up one morning a few weeks ago and realized that the turkey from Thanksgiving, and the chocolate bunnies from Easter are still deposited firmly where you don’t want them to be. It’s time for serious action. Diet and exercise...of course! The diet is a no brainer. Eat clean and get lean. But there are so many different types of exercise you can do. What’s going to get you the fittest fastest? The best workout to get you lean for summer is one that is ever changing, challenging and intense, customized, and fun. Let’s not forget fun. You and several other of your group members will have exclusive access to your personal trainer and their expert knowledge during your training. Small groups of 3-12 participants will work together during training sessions, but with individual goals and training parameters. Nothing will stall your weight loss efforts faster than a stale workout routine. Your muscles need ever changing exercises and varying intensity to burn the kind of calories that melt fat. Working the same lifts and presses and trudging along on the treadmill every day is a slow path to victory. The end result is a lean toned body that is strong and sleek. By burning fat quickly while stimulating muscle growth, you get a long lean shape that really shows off all your hard work. Switching it up often and surprising your body with new challenges will keep your metabolism on its toes. Buh-bye fat. Hello summer. It’s easy to shrug off your workout when the only person you stand to disappoint is yourself. But imagine having a small group of friends who are counting on you to show up and contribute your own special brand of inspiration to the group. Now imagine them standing there broken hearted when you flake out and blow them off. Having that small group environment helps hold you accountable and increases your chances of meeting your weight loss goals in the timeframe you set. Personal trainers are a huge advantage when you need individual attention. But if the individual attention isn’t really critical, maybe you could benefit from a trainer’s expertise, motivation, and coaching. 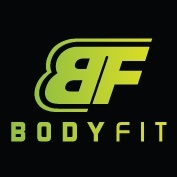 Body Fit is available at most of our locations. You can keep things fresh by visiting a variety of clubs at various times with different coaches. This makes it fun and convenient to fit in your workouts with your busy schedule.